As the new school year nears, we know many of you have safety on your minds. While our core purpose as a school system is preparing all students to thrive in their futures, we know this cannot be achieved if students don’t feel safe and welcome in our schools. 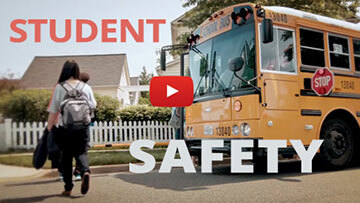 To provide a safe and welcoming environment for learning, MCPS takes a comprehensive approach to ensuring student safety that includes bus and building safety; child abuse, bullying and suicide prevention; and environmental safety. We look forward to a great and safe school year with you!